Very reliable and helpful, go the extra mile, always on the other end of the phone. I love my shutters. I received excellent customer service and the fitting was perfect and would have no hesitation in recommending ShutterHome. I would recommend these guys in a heartbeat! This company is amazing!! They are knowledgable, friendly and extremely professional offering a great service. 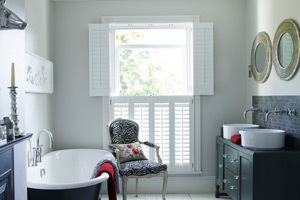 My shutters look amazing - and its all down to the finer details. Having a large victorian bay window - who knew there was so much to consider from the slightly uneven, wonky window frames, to where the sash window lifts, even to the way they open to get the most out of the shutters. All of this was explained in great detail and with great patience by Phil during my consultation - and by David who's eye for detail when installing them ... borders on an obsession (in a very nice way! :-)!) They look truly stunning! I would recommend these guys in a heartbeat. We received excellent service, from providing us with a quote until completion of installation. 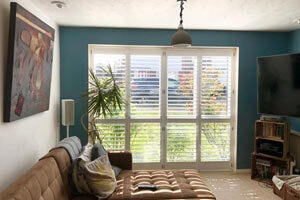 The shutters are great quality and were fitted very professionally. We got normal shutters for the downstairs bay window, but fitted shutters with integrated binds in the upstairs bedrooms - THEY ARE AMAZING! Even in the bright summer sun, these create a pitch black dark room. One of the frames for the bay window sent by the supplier were incorrect size - ShutterHome then temporarily fitted the shutters for us to use while we waited for the factory to send the correct frame. After receiving the correct frame from the factory, they returned to complete the installation, and we were only asked for final payment when installation was completed and we were happy with it. 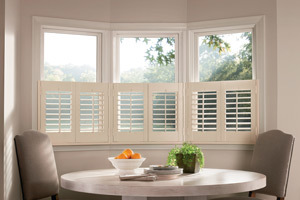 ShutterHome also accept card payments, which a lot of other shutter/blind companies doesn't offer. I highly recommend the product and the service from ShutterHome Ltd. Excellent service from placing the order to installation. A very professional service from start to finish. Derek our fitter did a fantastic job with the installation and cleaned up any mess once he was finished. Very happy with our new shutters. An excellent product and a wonderful installation. Apart from new shutters you would not have known any work had been done. Every last piece of dust was cleared up. So impressed and now looking at other windows I want shutters on.